I admit it, I’m a kale head. Just start combing through the pages on The Domestic Life Stylist, and you’ll start to see evidence. 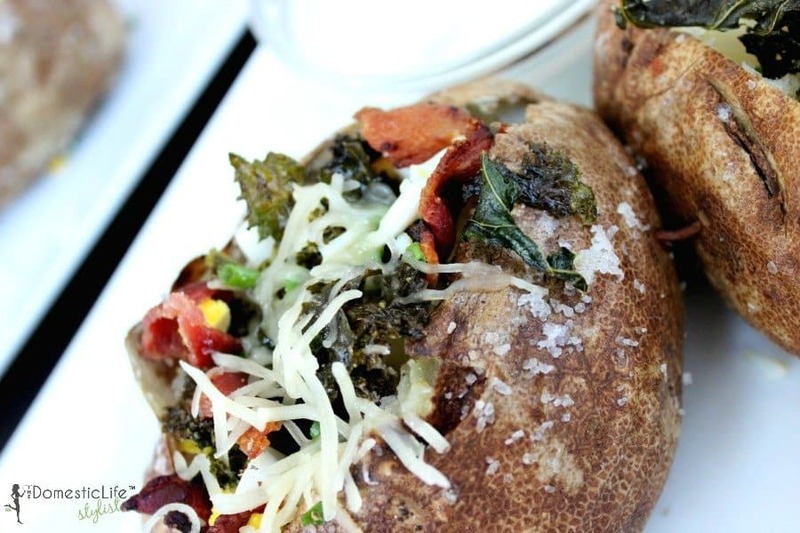 Kale, sausage and lentil soup and Sauteed kale with lemon are some of the other recipes that you’ll love. 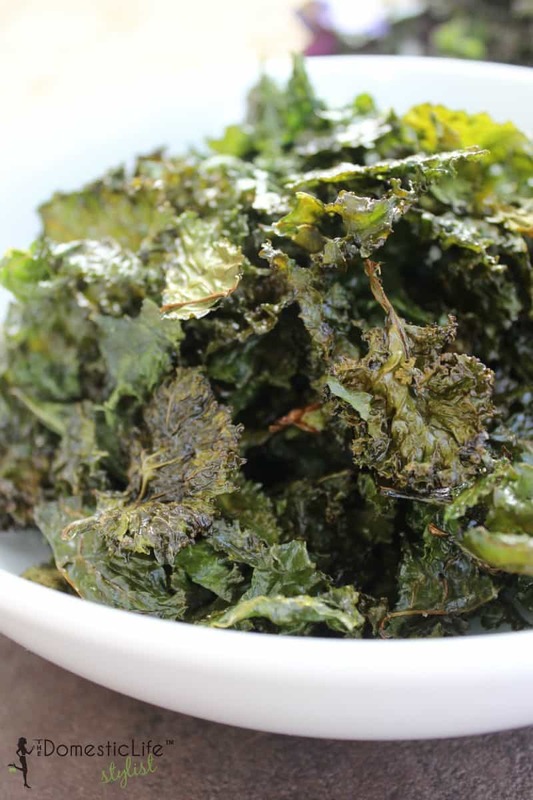 So it’s only fitting that we have a recipe for kale chips on the blog. I mean, what took me so long right? 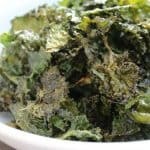 Here’s my recipe for kale chips. Well, sorta of a recipe. There are no measurements in this one but, they are delicious all the same. 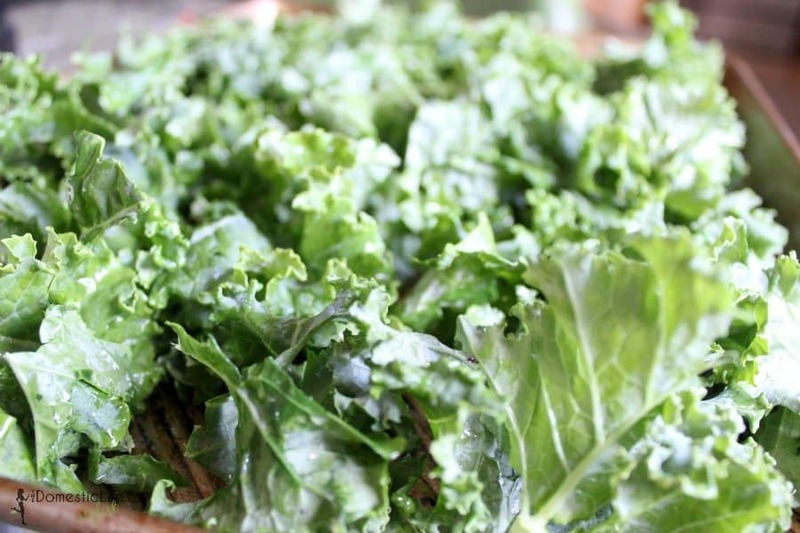 Start out with freshly soaked and dried kale. I like to dry the kale in a hand towel to make sure that the majority of the water is gone. Don’t miss this step because it makes for chips that are extra crispy. Tear the kale into bite-sized pieces, making sure to remove the tough ribs. Lightly drizzle the kale with a little olive and mix around. Sprinkle with sea salt and place in a preheated 275 degree oven for 20 minutes. After cooking on one side, flip over and bake for 10 minutes more. Then go ahead and bite into the deliciousness. 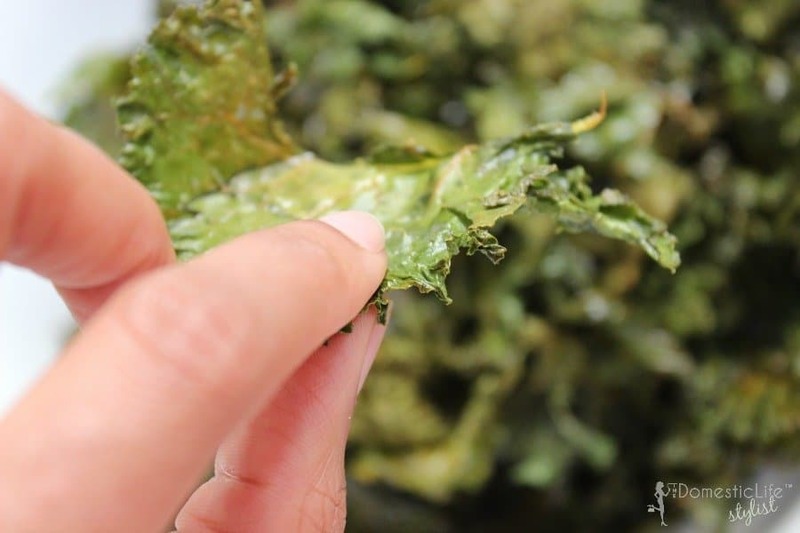 The kale chips can be stored in an airtight container or baggie for a few days…if it lasts that long. Kale chips one of my favorite snacks. Gotta love them. The kids like them too! I always soak kale whether I bake them, throw them in smoothie or saute them up. They can be full of “surprises. Hi there! Visiting from the Mommy Club link party. I just bought some kale so I’m definitely trying this out! Thanks so much for the recipe! Yay! I’ll call that a win. Hmmhh…seems simple enough. I had a coworker bring some from his father’s farm to work last week. I rinsed them and put them in a crisper and need to know how to best store them. How long do they last refrigerated? Can they be frozen? And for how long with both? Lowanda, I store them in a plastic zipped bag that has had as much air removed as possible. Store up to two days in a dry place. After that, it just doesn’t taste fresh and crispy anymore. If you put them in the freezer or fridge, I suspect that they won’t be crunchy anymore due to moisture.